Mod development has been cancelled! I had to do alot with my new job, but it has also found an end. May I'll recontinue working on this mod, if I do, you'll find the information on my twitter. I also noticed that the download wasn't available anymore, so I uploaded the mod as a .zip file. Warning: if you have a slow computer you should turn off the Epic Mountains, the improved generation algorithms needs some CPU Performance for calculating. RoyYMCMB: Creator of trailers and from the newsest title pic, also a texturer. New Update is in Progress. Feel free to make videos about or with my mod. Like spotlights, Let's Plays (Gameplays), and so on. Hey guys! I'm searching a few guys for my team. There are 3 slots free for the ExtraBiomesGen Mod Wiki Team. So if you would like to join, can you write me a PM with your SkypeID and why you would like to join. If you want to say me that something went wrong or is not working, post the error log, and don't just say that it's not working, cause that doesn't say me anyways what may happened. I test everything before I release it, especially the installer. Feel free to make videos about my mod. If you would like that they get noticed, post the link and if I think the video is good I will post it in the description. Mod Source Code post is in progress. I hope for some new videos. Yes I know, this biome looks really similar to the Marsh biome from ExtraBiomesXL but I got inspiration of it and I thought this looks good and programmed a similar biome by myself, but I will work on it even more, but this is the basic of it ^^. It's original size is 9721 x 6958 pixels. 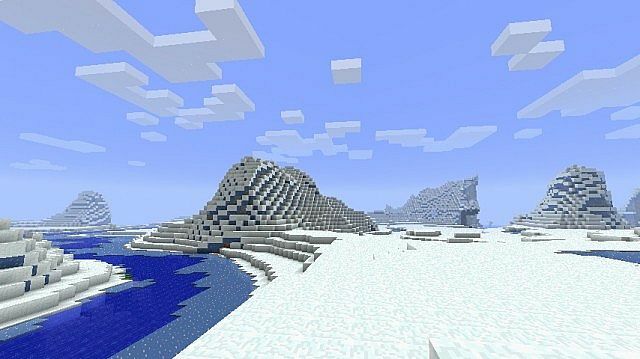 Give me tips which biomes I may can add. And when you've luck your idea is in this mod. Download the file and extract it to any location, then just run the install.bat and choose the option you like. The Credits from the textures from the Cracked Sand and Basalt goes to FreakBacon. 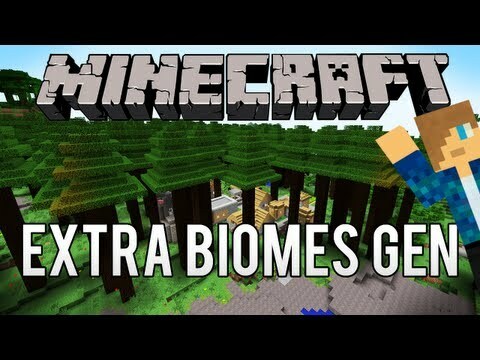 If someone thinks the biomes were stolen from the ExtraBiomesXL mod they aren't stolen, the most biomes are ideas of the Community. If you would like to post this mod on another website, please ask me for permission, via comment or a PM. When I gave you the permission, then give me credit by the repost. I WILL NOT ALLOW TO REPOST THIS MOD ON PMC. If I didn't give permission, I will report the repost. And don't forget to post the link of the original post. Thank you for understanding. Cool, and what about table mountains? Biome with very high elevation, small height variation and rainforest on top? Reuploaded the latest major version of the mod without an installer, you need forge for 1.6.2. I'll may update the mod to 1.8 in the near future. Install it with the installer, there's the forge version included, which my mod uses. How do you install this .jar file I am new with the mods. I have forge installed and the other mods I use just say to drag and drop them into the mod folder and most of them work. Could someone explain how I install this .jar file it is the first time I have had to use this type of file and I really would like to use this one. Hi, nice that you ask. I guess that you've installed Java already on your computer. So, it's pretty simple, its an installer, rightclick the jar-File, and go to "open with", then click on "Open with Java" or so. A window will open, and there you can see further instructions how to usw and how to install, in the help tab. It installs Forge for you, so it's pretty simple. Hmm, do you have any error reports? May I can help you get running forge on your computer. In 2 days I'll be away for one week because I'm in Italy on a class trip. Or may I'll do a non forge version soon. Absolutely gorgeous. Wonderful terrain generation, amazing coding, and biome restrictive options! 1-Put the End Biome, Mushroom Biome, and Volcano biome in the enable/disable list. 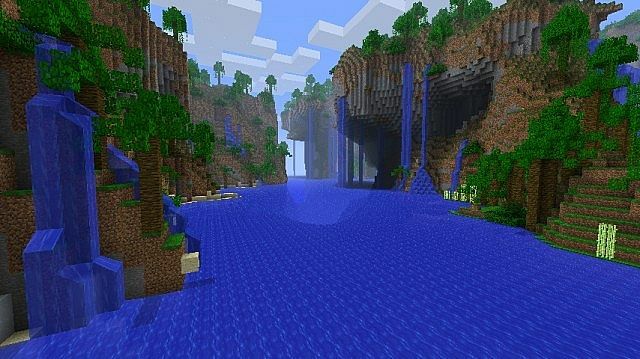 2-Add a floating island biome for each standard biome (basically have an equivalently recessed area below it, to give the idea that it was "ripped" out of the ground) Such as plains, forest, and desert. Ã The elevation should be shifted up by about 15-30 blocks, and the island should be about 10-12 blocks deep at most. You seem to be the first person who has ever written a comment that includes that my mod has wonderful terrain generation, so you also see the terrain, and not just the biomes, as so many others do. You have a couple of nice ideas, but I've never got the floating things done, I look when I'll continue coding it. An empty biome, hmm, that should work, it will be hard, but it'll work. Normally I'm really fast with answering. My experiences are, that the Americans (I'm one too, but I live in Germany) have an identically value of the days, where they have to go to school. Actually, we have separate vacations for easter and christmas (officially known as winter vacation) as well. There's also spring break, which is 2 weeks long. Easter and christmas vacations are also only a couple weeks each. In fact, easter might be only a week. I would congratulate you in getting so far, but I feel I should not. You did not sound like a good person when we last talked. You don't sound like a good person either. Well, you did not hear what he said. He pretty much said He's the best modder on the earth and is going to get a job in Mojang soon. Well, from what I've seen of this mod, that's probably true. And honestly, a bit of well-deserved bragging doesn't make necessarily make you a bad person. It should be avoided, but that doesn't mean it's unforgivable. Don't judge someone from hearing one thing they said. nice. reminds me of biomes o plenty kind of. 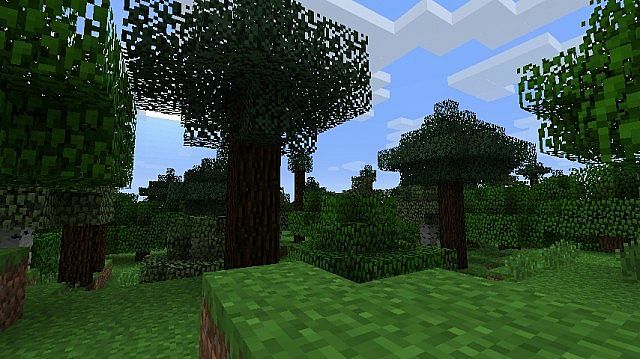 Actually "biomes o' plenty" should remind you at my mod :) Mine is older. 399th diamond! Also, sub and fav! Sorry, what? Isn't it meant to be "thankyou?" Anyway, if it is, then "pleasure" from my side! if i install it can i still playing on servers? 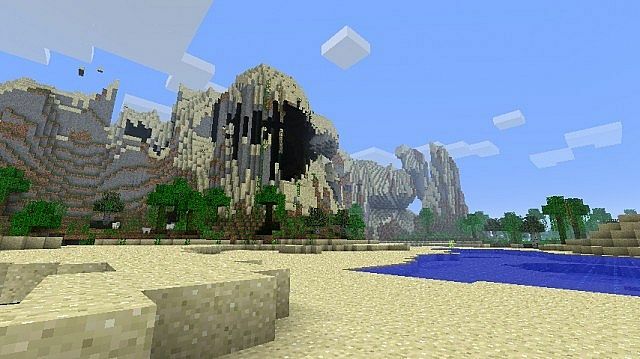 Yeah, it's just Minecraft with new and edited WorldGen files. This looks awesome but I have a lot of mods that wouldn't be compatible with the replacing the minecraft.jar thing. At least i think thats the reason. I know and I'm aware of it. I'm developing a new algorithm, so it won't be that incompatible anymore. I have a possible fix for these incompatibility issues. If you have an old version of the mod (a zip with all the files that should be put in the .jar instead of the installer) also available, it would work with the Magic Launcher, which fixes most compatibility issues. Back up your minecraft.jar before you install mods then. I've collectively spent an hour on this with no success. All I get from that download link are a bunch of Java files. No installer. And it doesn't work to just drag into the minecraft.jar either. a bunch of useless .class* files, not Java, my bad. I will take a look at this. I message you, when it's fixed. I downloaded it by myself, and I get an jar-Archive. If you also got the util and META-INF folder with all classes in it and so on, then create a .jar Archive called EBGInstaller.jar and put all the files in there. Just click the EBGInstaller.jar then accept the download. appreciate the help, unfortunately the link just takes me to Planet Minecraft Home. Not sure why. I downloaded the mod from the link above and the folder contains no install.bat. It is nothing like the one in the video either. Help? Inwiefern funzt der net? Ggf. mit .bat Datei starten. AWESOME!!!! does it add new blocks or items into the game? 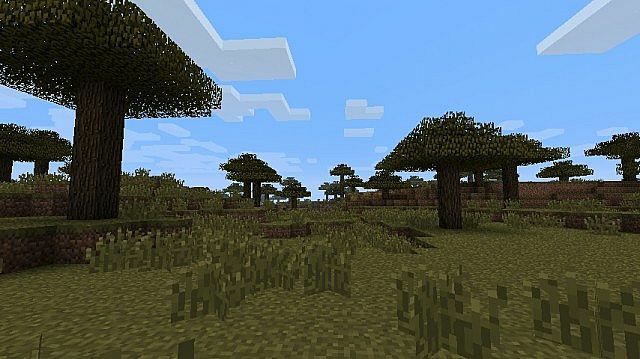 are there actually new biomes or do the old ones generate in new ways? The blocks are coming later for the wasteland biome ^^. The update is in Alpha, so until I may bring out the Beta can take one week if I'm fast enough and everything is tested well. There are new biomes, and the old biomes will be generated too anyways. 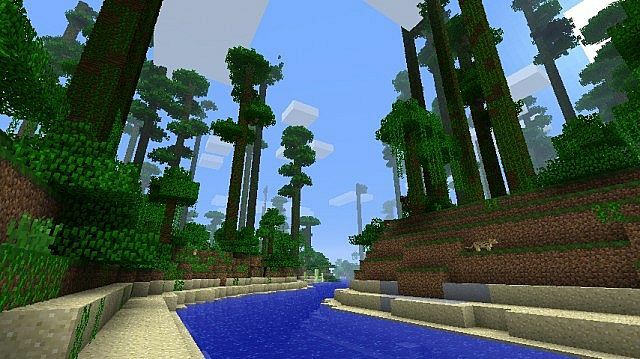 But some old biomes like swamps or plains, are a little bit improved. But in the More World Options menu you can choose which biomes you want to spawn in your world. Read the description, I already announced when I will begin the update progress. The question is, which other mods ;) You can't make it compatible with every other mod. I just look there for issues and can mark them as fixed ^^ It's better as saying it's fixed somewhere in the comments.